The Belton is a single-story home offering 3 bedrooms, 2 bathrooms and 2 car garage! 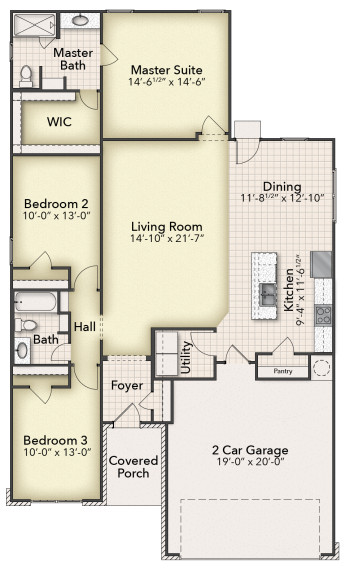 This plan features a private master bedroom with a super shower and large walk-in closet! Create lasting memories in your living room - perfect for game nights, movie nights, and entertaining Your new kitchen opens directly to the living room so you can prepare meals while catching up on the family's day!